We had lunch with Vamira (?) 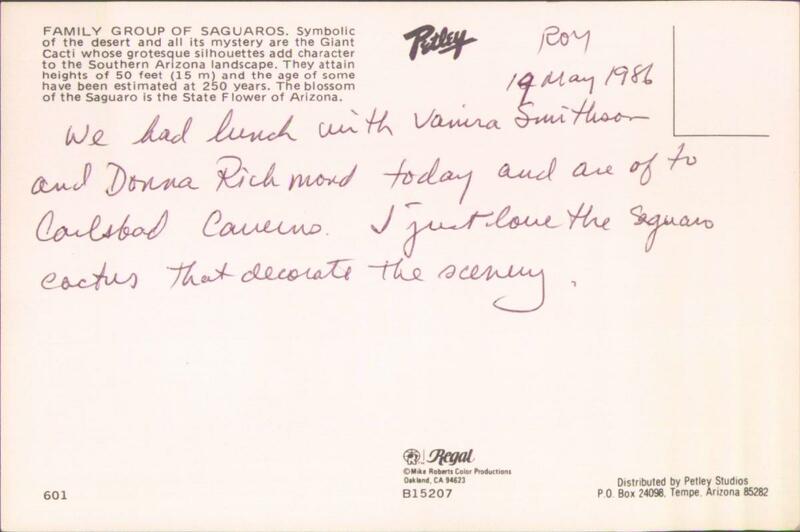 Smithson and Donna Richmond today and are of[f] to Carlsbad Caverns. 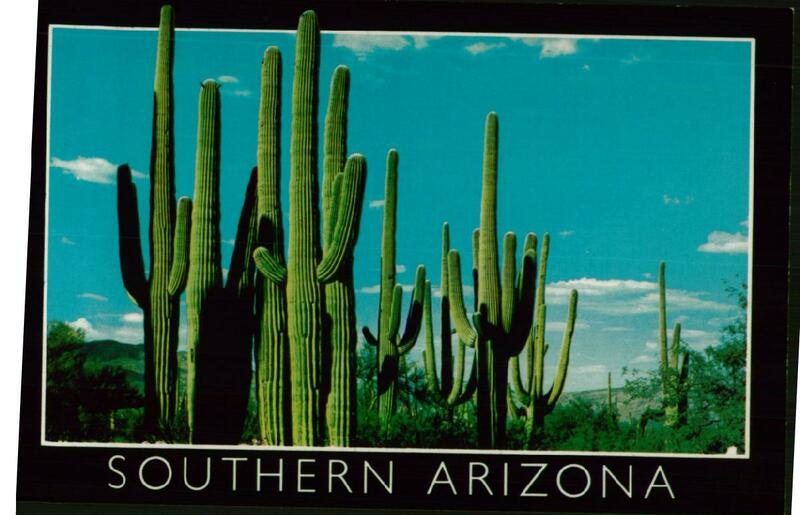 I just love the Saguaro cactus that decorate the scenery.